A top producer in the mortgage lending industry for the last 16 years. Laura's knowledge of the mortgage business is unmatched and her ability to deal with people and educate her clients as to the financing options available today is her specialty. Laura's Company, RPM Mortgage, is proud to have served family, friends, and neighbors up and down the coast for over 20 years. RPM is firmly rooted in the area and are committed to maintaining our community-oriented culture. Most of RPM's staff are also residents of the area, and are thankful to live and work in a place that boasts natural beauty, great schools, and a great quality of life. They take a personal interest in each of their clients, striving to truly understand your needs and goals, and to exceed your expectations. In addition, RPM Mortgage is a mortgage leader because we're mortgage bankers, not brokers. With RPM, you're working directly with the bank so you'll experience streamlined processes, instant access to the most recent rates and loan programs, the fastest turnaround time possible, timely communication and our warm personalized service. Again, welcome to Laura Avants, RPM Mortgage. I strive to exceed your expectations, to be worthy of your trust, and to earn your repeat and referral business. I look forward to serving you! 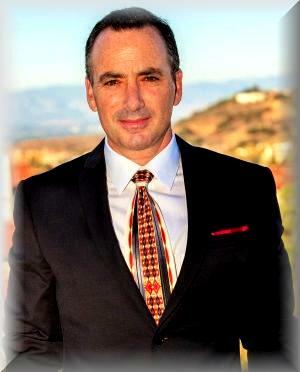 Calabasas, Woodland Hills and Hidden Hills real estate and homes for sale is my specialty. Using this mortgage section can help you understand just what it takes to have a successful real estate transaction in any Los Angeles County, area including Calabasas, Woodland Hills, Hidden Hills, West Hills, Tarzana, and Bell Canyon and the surrounding areas.